Or so the esteemed Dr. Werner Frederick would have people believe—people like the Congressmen holding hearings on banning violent crime and horror "funny books." And when the crusade provokes a most un-funny murder, Jack Starr—comics syndicate troubleshooter—has no shortage of suspects. Was it the knife-wielding juvenile delinquent or the naked seductress? Perhaps a frustrated publisher or an outraged cartoonist. Or was it a comic book reader...? 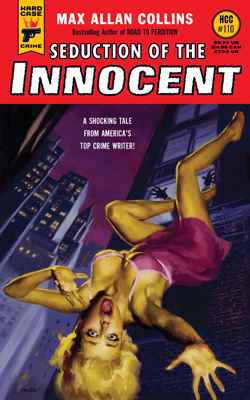 Inspired by the real-life 1950s witch-hunt against Tales From the Crypt publisher EC Comics, SEDUCTION OF THE INNOCENT pulls back the curtain for an insider’s view of the history of comics—and features more than a dozen brand new illustrations in the classic EC style by comic book legend Terry Beatty! "Collins masterfully blends fact and fiction...transcends the historical thriller."